Nestled on the east coast of Scotland, overlooking the North Sea, Dundee is the perfect starting point to explore Europe’s most stunning and enticing reaches. The Baltic will arch down to great you on your Dundee cruise as you head north - a mist-draped land of Scandinavian capitals, ancient pine forests, fairy tale villages and soaring fjords. Explore the rugged coastline of the British Isles and Ireland’s emerald gem, encounter untouched wilderness in the Faroe Islands or venture deep into Iceland. A cruise from Dundee can see you dining al-fresco along the Spanish coast or soaking up history in Russia – you decide which part of the world to uncover next from this charming Scottish port. 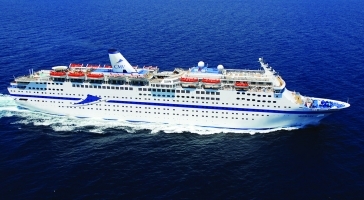 Give us a call today on 01903 694322 to book your cruise from Dundee.